Mountainside cottage on the edge of the forest. The Tour de France 2014.
bathroom, one bedroom upstairs living room, two bedrooms on the lower level with bathroom and shower. The sofa can increase the capacity. The chalet is south facing, with a splendid view of the confluence of the valleys of Cleurie and Moselotte. The plot of 3500m2 you will enjoy the place and safely for children. 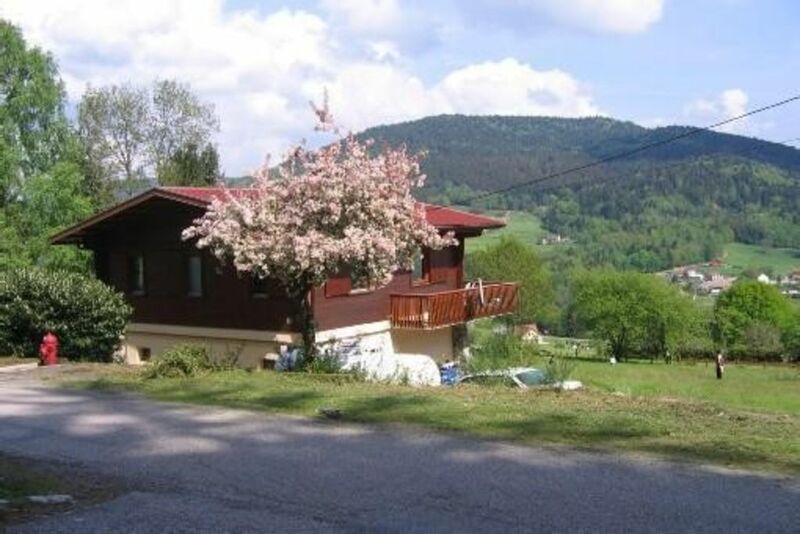 Ideally located at the valleys to the ski resorts of Gerardmer and Bresse (20 km of tracks).